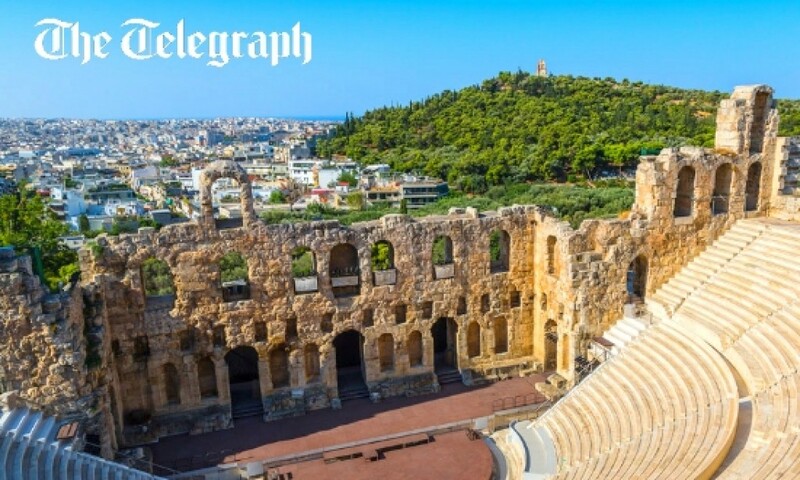 The Odeon of Herodes Atticus in Athens and the ancient amphitheater in Delphi are among the 10 most beautiful ancient amphitheaters in Europe, according a Telegraph article. Then: at Pompeii you get the triple whammy of a complete oval amphitheatre, semi-circular theatre and smaller theatre. The former was in use for 160 years before being buried by ash from Vesuvius in AD79. Now: Each arena is in excellent condition, though most of the seating of the amphitheatre is missing. 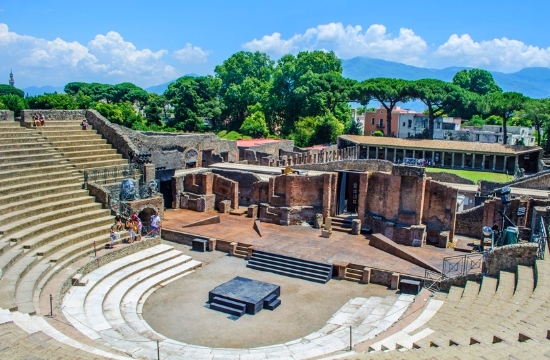 The standard guided Pompeii tour includes the two theatres but not the amphitheatre. 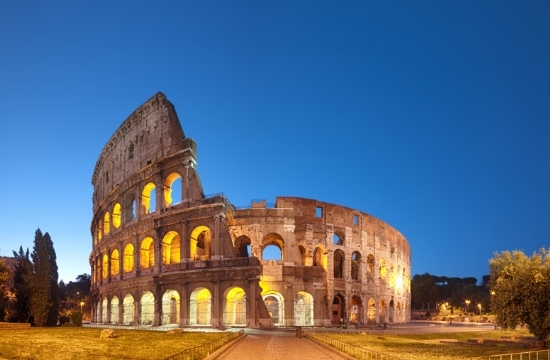 Then: Completed in AD80, the Colosseum is easily the best-known Roman amphitheatre in the world and 50,000 spectators. It was used for dramas as well as gladiatorial battles. The four-storey structure is regarded as a remarkable feat of engineering. Now: Its top layer may be missing but it’s still a majestic site if you can ignore the fake centurions outside. Visit independently unless you find a specialist excursion that allows enough time. 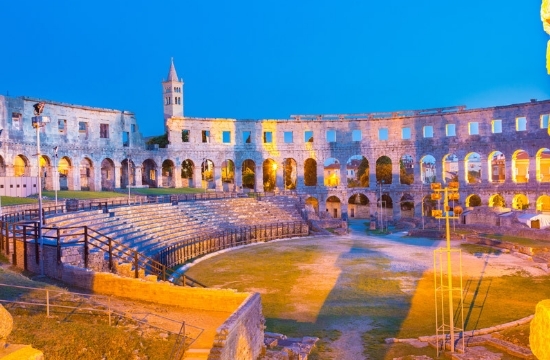 Then: The imposing Arena amphitheatre in Croatia is extremely well preserved. It’s also one of the largest, completed in 68AD to hold 23,000 spectators. It was on the gladiatorial circuit until the 5th century. Now: In recent times the Arena has welcomed the likes of Pavarotti and Tom Jones to perform. It’s within walking distance of the cruise dock. Then: An ancient trading post in Turkey, Ephesus has a huge Greek theatre dating to the 3rd century BC and remodeled in Roman times. Spectators in the 66 rows watched political, religious and musical events. 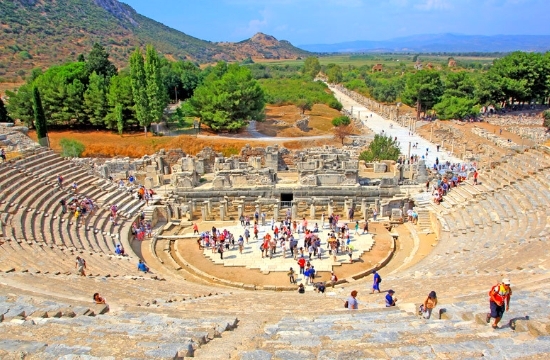 Now: The theatre will be a highlight of a guided tour of the archaeological site offered by cruises calling at Kusadasi or Izmir. 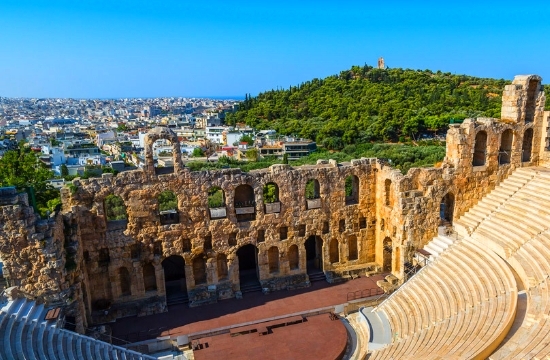 Then: Think of the Acropolis and you think of the Parthenon, but on the rock are two significant theatres, the Roman Odeon of Herodes Atticus (161 AD) and the much older Theatre of Dionysus. Now: If you have a day in Athens, make sure you include the theatres as well as the more obvious Acropolis sites. Then: What makes this Greek theatre stand out is the backdrop of Mount Etna looming behind the stage. With origins back to the 7th century BC, it was expanded by the Romans and displays fine brickwork. 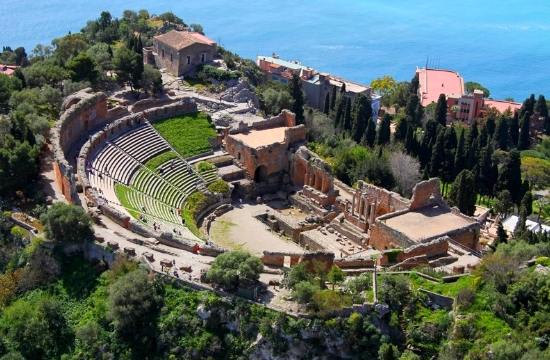 Now: The theatre is just a few minutes from the main street of Taormina in Sicily. Guided visits are possible but it’s rewarding just to walk around and soak up the atmosphere. 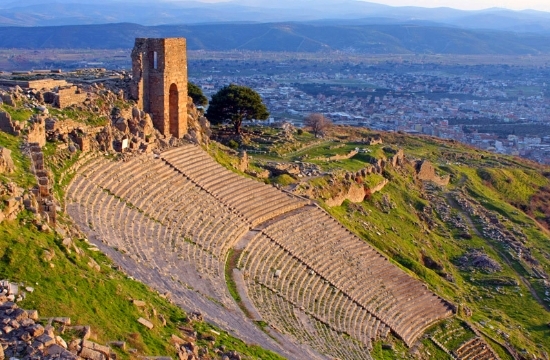 Then: Said to be the steepest ancient theatre in the world, the Greek marvel on the acropolis at the archaeological gem of Pergamon in Turkey is 2,300 years old. Now: There are great views from the top of its 80 rows of seats. View it as part of a guided or independent tour of the many significant ruins here. 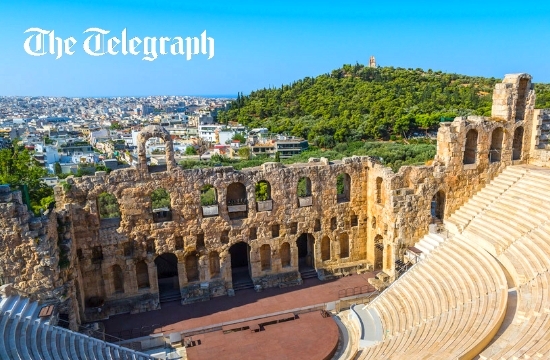 Then: Above the Temple of Apollo at this impressive ancient site is a well-preserved 2,400-year-old Greek theatre carved into the side of Mount Parnassus. There’s a stadium that was used for sports, too. 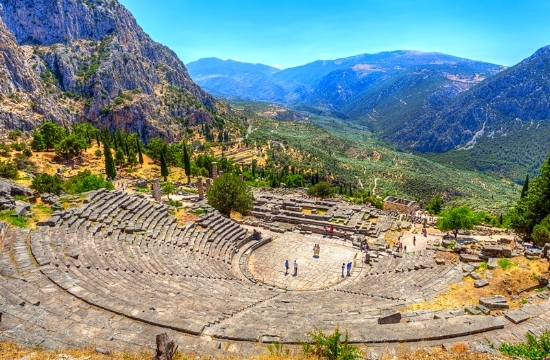 Now: The views from the theatre across Delphi are spectacular. 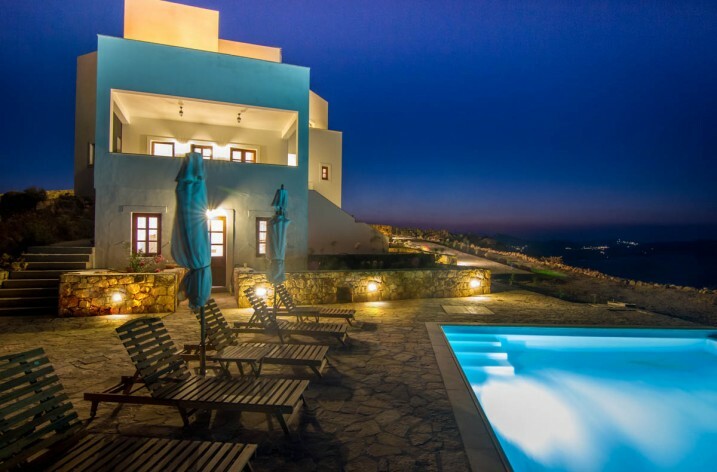 It’s best seen on a guided tour from the port of Itea, just a short drive away. 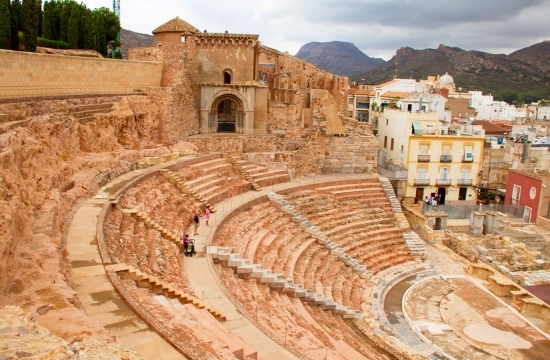 Then: Excavated only recently, this splendid Roman theatre in south-east Spain is one of the Empire’s earliest. It was later used as a market and a cathedral was built on top in medieval times. Now: The theatre – open six days a week – is in the city centre, very close to the port. A very good museum forms part of the complex. Then: Close to the delta of the Rhone, Arles was a key Roman trading port. At its centre is the most intact oval amphitheatre in the world, built in 90AD. Its capacity was 20,000. Next door is a semi-circular theatre from the 1st century BC. Now: Major concerts are still held in the amphitheatre. 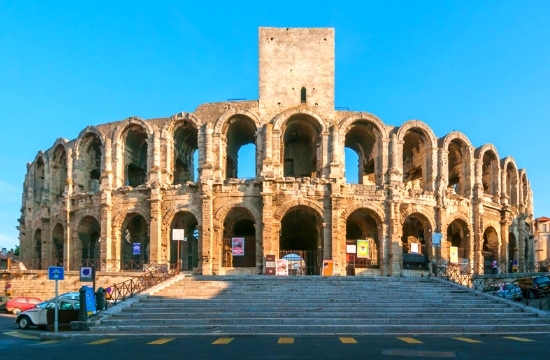 Guided tours of Arles do not usually include entry, but free time will allow a visit.